A 2800 m² aquatic area awaits you! Like all of the Yelloh! Village campings, we do everything possible to offer an exceptional aquatic park. 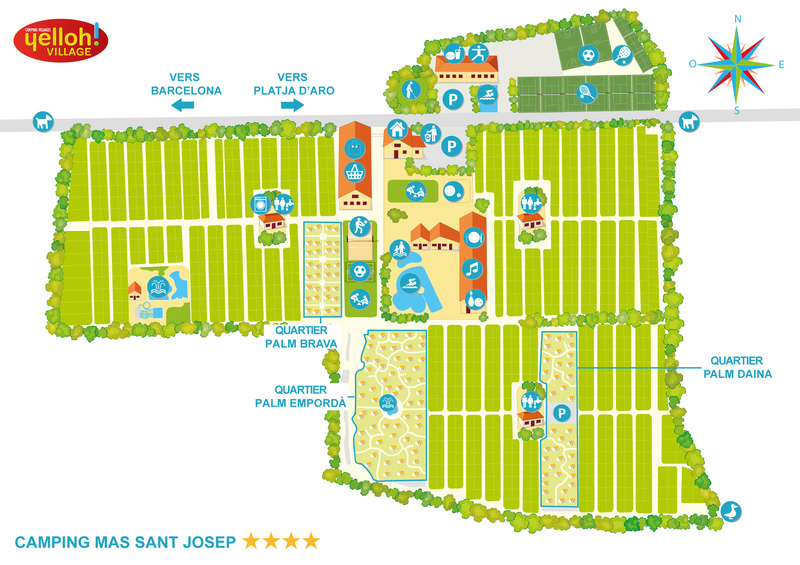 Our camping has 2800 m² of swimming area under the sun on the Costa Brava. A 300m² pool for the youngest, a lap pool for more serious swimmers, and a large central pool for relaxation and wellness. The Costa Brava is yours to enjoy! The world famous, beautiful beaches of the Costa Brava are only 6 kilometres from the campsite. There is something to please everyone with unspoiled inlets and pebble beaches as well as large, fine sandy beaches for families! Our beautiful region's crystal clear sea, white sand, ochre rocks and deep blue sky will colour your camping holiday… a genuine natural paradise that will fill your head with wonderful memories!